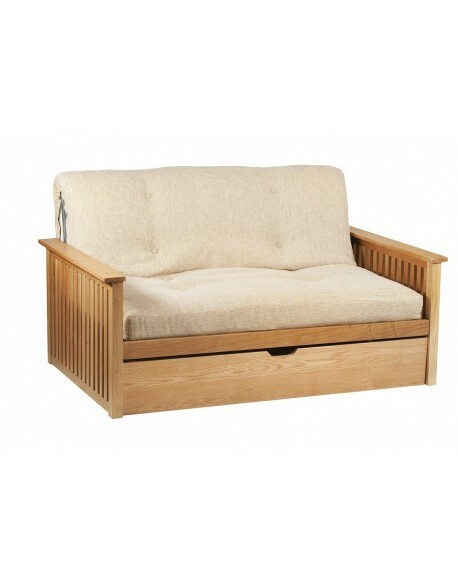 Cute, comfortable and compact, the BeBop makes is a simple alternative as living space, spare room or home office extra seating that can quickly convert into a day bed or single guest bed. Four feather filled scatter cushions + £89.00No scatter cushions required. Select your futon mattress type. 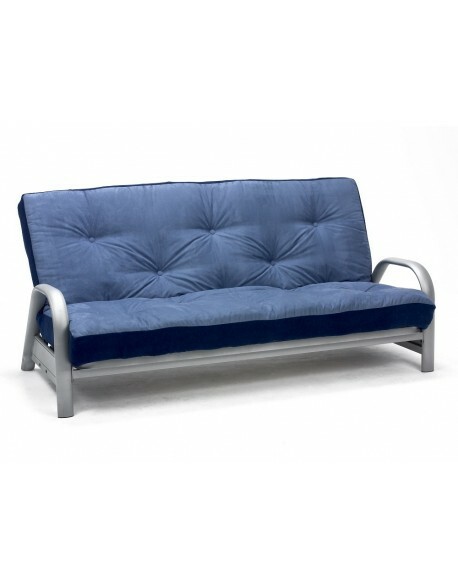 Standard 6-Layer rebound futon.Upgrade Pocket Sprung FlexiPoxket futon. 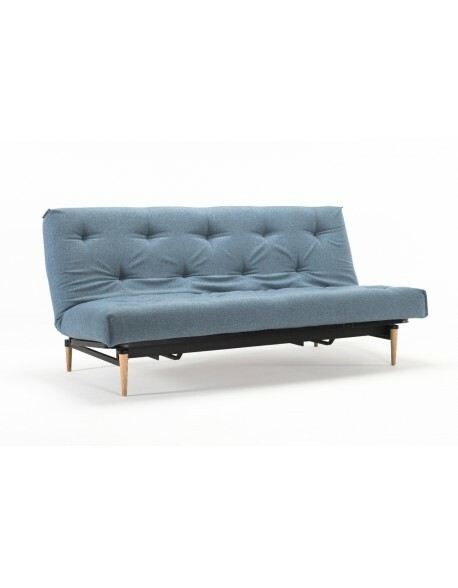 Another cute and functional piece of futon furniture, the BeBop Futon Daybed gets a big 'thumbs up' from us all here as it makes a great sofa to snuggle on and you can then drop one, or both, of the arms ends to make a lounger or a single size bed. 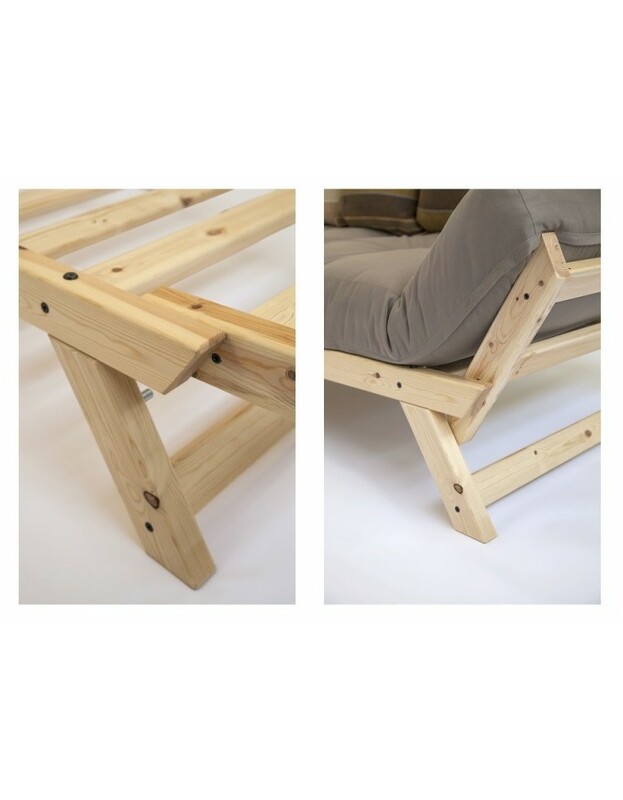 The BeBop frame is manufactured in Europe using FSC certified (managed timber forest) Scandinavian redwood pine with a nice smooth finish and is delivered in a self assembly form for ease of transport and getting into your home, a first timer will take around 1 hour to completely assemble one. The BeBop frame is combined with a choice of either one of our 6-layer, pocket sprung, FlexiPocket futon mattresses or a standard 6-layer rebound futon, choose from the menu below, both available in a choice of Fabrics or tactile chenille, weave and organic Upgrade Fabrics additionally you have the option of co-ordinating, feather filled, scatter cushions or use your own from home simply choose from the menu's below. Note should be taken of the specially angled legs of the BeBop which ensure stability even when the arms are dropped. 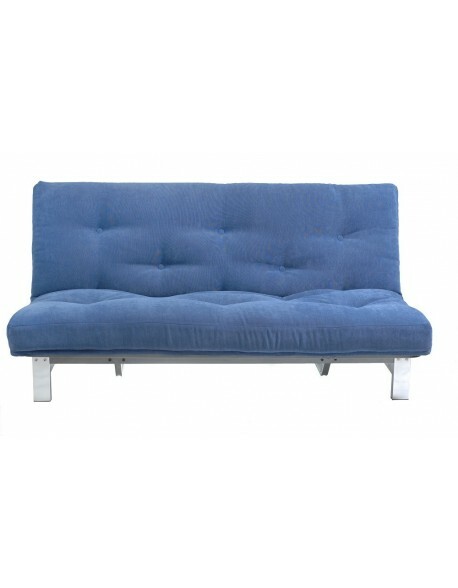 BeBop Futon is available for delivery from stock. 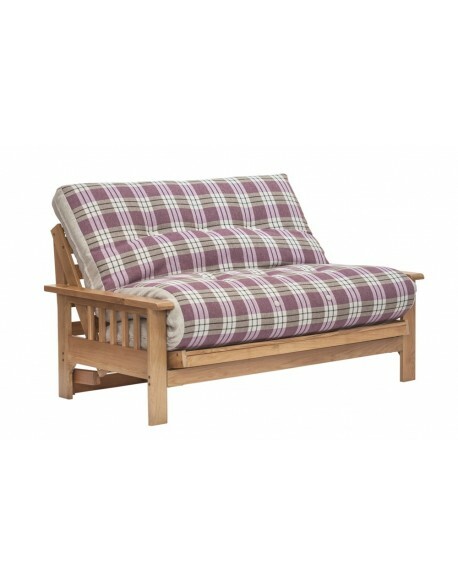 Futon frame materials Strong redwood pine frame in natural timber finish. 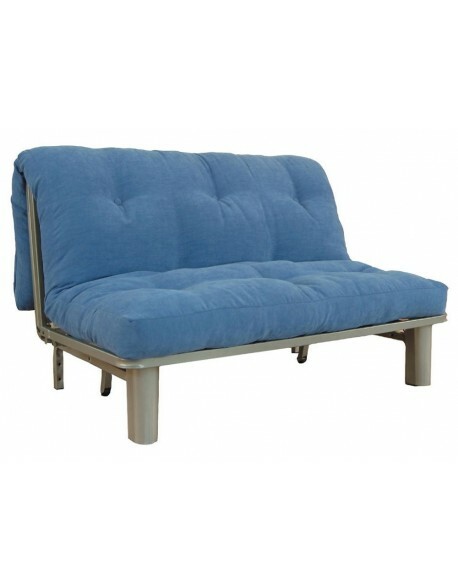 Futon mattress materials Choice of standard 6 layer lambswool / woolfelt futon for regular use or upgrade to flexi-pocket futon with central pocke spring core for everyday use. Delivered flatpacked? 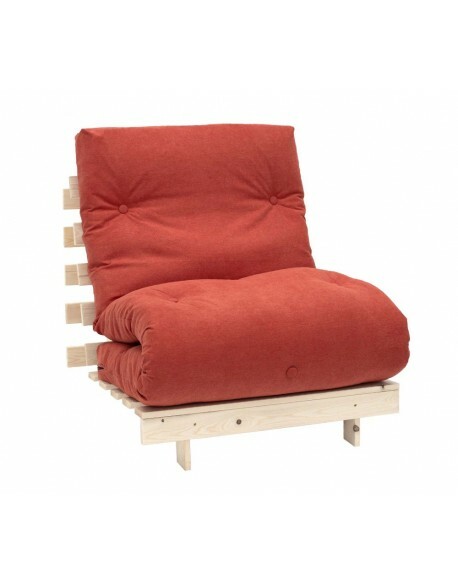 Yes for easy delivery, typically Danish design with lots of parts but a logical and straightforward assembly. Allow 1 to 1.5 hours for building. How long for delivery? Available from stock for quick delivery, 4 to 7 days, please call if your requirement is urgent. Recommended Use As a guest use or everyday sofa and bed.